Cute little Cabin in the Woods??? Yes, but soooo much more. 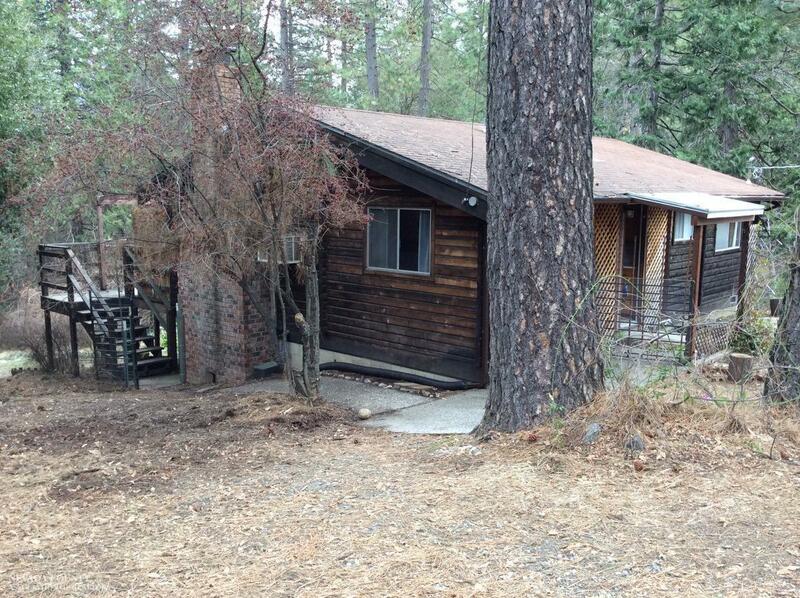 This 2/1 cabin on 1.2 acres is less than a mile from downtown Nevada City. How is this possible? Plus it's just a stone's throw away from two different walking trails, the Sugarloaf Mountain Open Space area and the Cement Hill Ditch Trails. This home is located at the N. Bloomfield road and Lake Vera Purdon road intersection. Yes, there is some road noise from the front of the house, but the natural barrier at the road and the house itself, will let you enjoy your wooded surroundings in serenity in your back yard garden oasis. Tons of fruit trees and a nice garden area, even a grove of beautiful dogwoods will put the worries of life behind you. Investors, this home has been a very successful VRBO recently because of its prime location and sweet mountain ambiance. There is also a large fully insulated, full ceiling height, slab floor, daylight basement under the home in the back yard.